Ram Navami is a Hindu festival that marks the birth of Lord Rama of Ayodhya. The festival, considered as one of the most important Hindu festivals of India, falls in the ‘Shukla Paksha’ on the ninth day of the month of Chaitra, corresponding to the March/April of the Gregorian calendar. The auspicious occasion also marks the last day of the Vasanta Navratri. The day is also special as it celebrates the birth of the seventh incarnation of Lord Vishnu, Rama, to King Dasharatha and Queen Kaushalaya. While Navratri is celebrated with much fanfare and enthusiasm in North India, devotees in the Southern states celebrate Ram Navami with greater fervour. The festival celebrates the victory of 'Dharma' over 'Adharma'. . April 2019 Festivals, Events and Holiday Calendar: Chaitra Navratri to Gudi Padwa to Rama Navami, Know All Important Dates and List of Hindu Fasts for the Month. The Sri Sita Ramachandraswamy temple in the southern state Telangana is dedicated to Lord Rama, the seventh incarnation of the god Vishnu. The temple is located on the shores of the Godavari River in the town of Bhadrachalam. The temple has four entrances; the Rajagopuram is located at the northern entrance, which is called the Vaikuntha Dwaram. The temple houses a number of sub-shrines and a few mandapams. 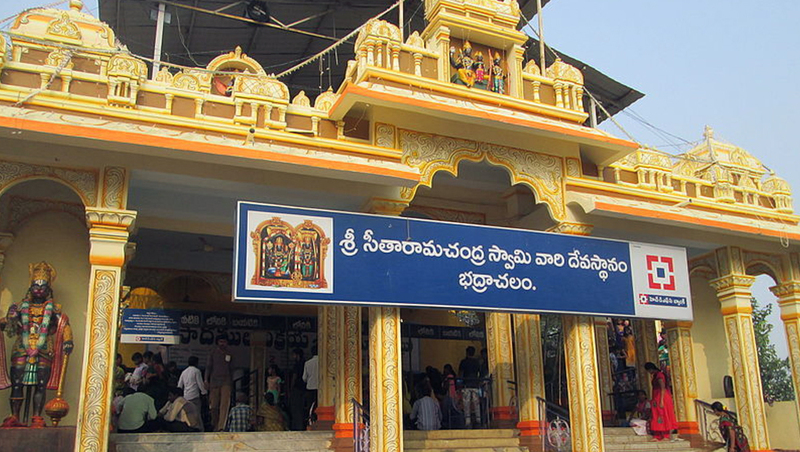 Often, people refer to the temple as Bhadrachalam or Bhadradri and it is notable for its principal deity Vaikuntha Rama, a form of Rama not found anywhere else in the country. The annual Brahmotsavam is the biggest festival celebrated in Bhadrachalam; the key event is the Sri Sitarama Thirukalyana Mahotsavam, or the marriage of Rama and Sita on the eve of Sri Rama Navami. The Kodandarama Temple dedicated to the god Rama is located in Vontimitta town in Rajampet taluk of Kadapa District in Andhra Pradesh. 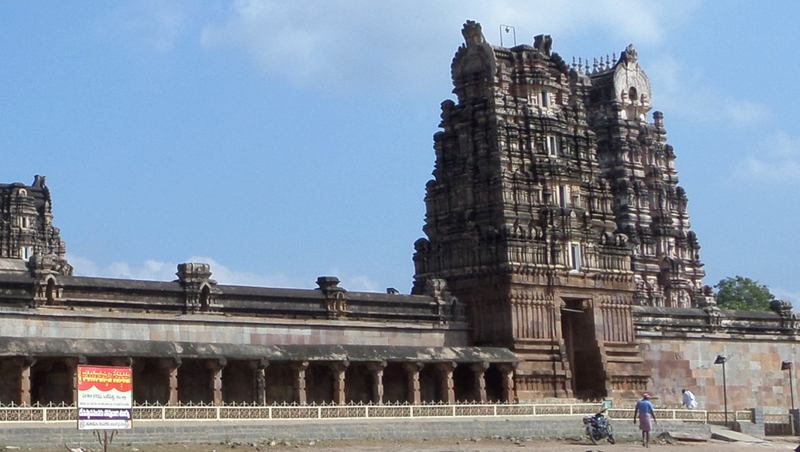 The temple, an example of Vijayanagara architectural style, is dated to the 16th century. The temple, believed to be the largest temple in the region, is located at a distance of 25 kilometres from Kadapa and is close to Rajampet. The temple was built during the reign of Chola and Vijayanagara kings around the 16th century. It is built in Vijayanagara style of architecture, in the "Sandhara" order within a rectangular yard enclosed by walls. The temple and its adjoining buildings are one of the centrally protected monuments of national importance. As per history, the temple was built by Vontudu and Mittudu, who were robbers-turned-devotees of Rama. After building the temple, they are said to have turned into stone. 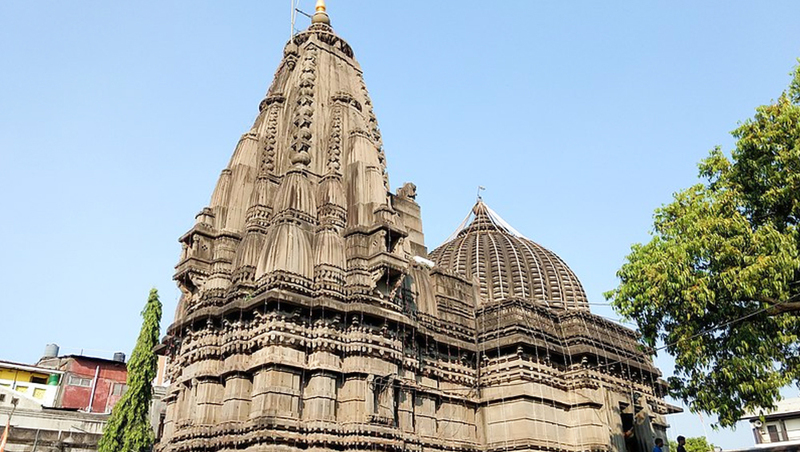 The Kalaram Temple in Maharashtra is an old Hindu shrine dedicated to Rama in the Panchavati area of Nashik city. 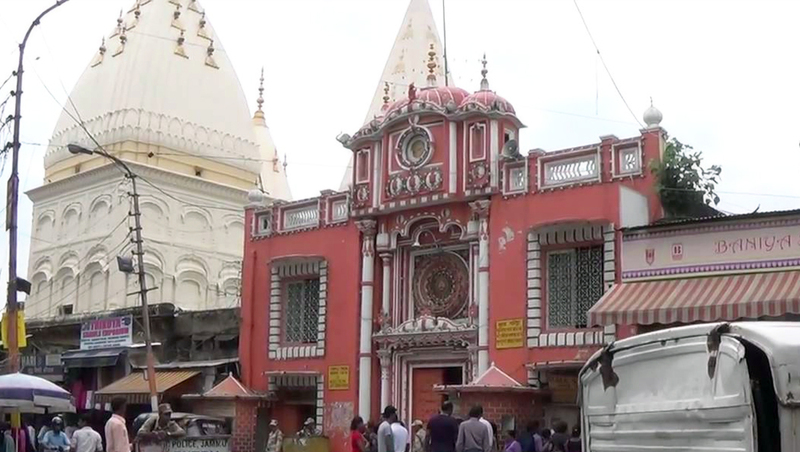 As per history, the temple is probably the most important Hindu shrine in the city. It derives its name from the statue of Lord Rama that is black in colour. The sanctum sanctorum also houses the statues of goddess Sita and god Lakshmana. The temple was funded by Sardar Rangarao Odhekar, and was built around 1788. The main entrance of the temple has a Lord Hanuman deity which is again black in colour. There is also a very old tree that has Lord Dattatreya's footprint impressions marked on a stone. Pilgrims visit the Kapaleshwar Mahadev temple near the Kalaram Temple. The Raghunath Temple in Jammu and Kashmir is one of the largest temple complexes of north India. The temple complex has seven Hindu shrines and paintings on themes from Ramayana, Mahabharata, and Bhagavad Gita. Raghunath Temple is the major and world famous temple which was constructed by the first Dogra ruler Maharaja Gulab Singh in the year 1835. The temple premises include a school and a library that preserves over 6,000 manuscripts in many Indian languages, with a notable collection of Sarada script Sanskrit manuscripts. The temple, which is dedicated to Lord Rama, has a Surya icon at the entrance. It is built over a raised platform of 5 feet (1.5 m) height in an octagonal shape. 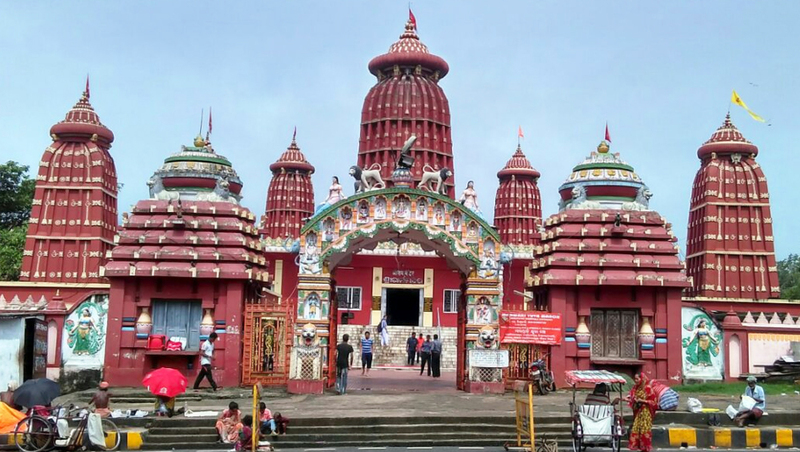 The Ram Mandir in Odisha is located in the heart of Bhubaneswar near Kharavel Nagar. The temple houses beautiful images of Lord Rama, Lord Lakshman, and Goddess Sita. The high rising point of the main temple is visible from parts of Bhubaneswar and is believed to be the main attraction. The temple complex also comprises shrines devoted to ochre-painted marble idols of Lord Hanuman, Lord Shiva and other gods. Apart from the other festivities, Ram Navami, Vivaha Panchami, Janmashtami, Dussehra, Shivaratri, Pana Sankranti are the major occasions that attracts thousands of pilgrims eachhere. The magnificent ‘Aarti’ during morning and evening draws a lot of devotees. Also, an annual fair is also organised here on the occasion of Raksha Bandhan or Rakhi. 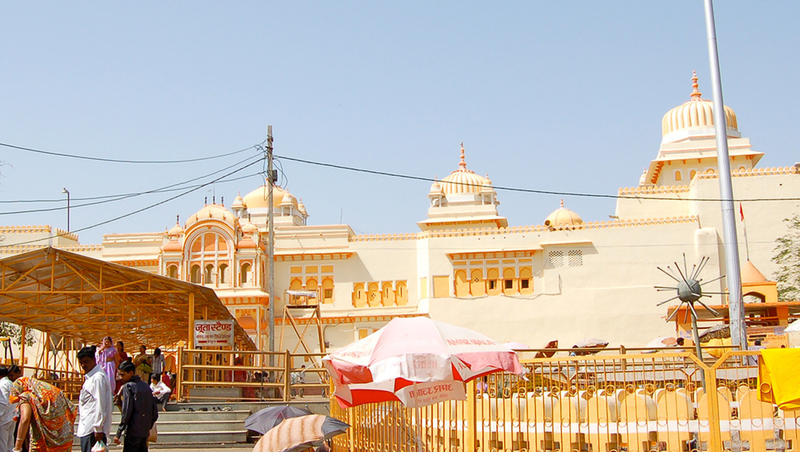 The Ram Raja Temple is a temple is located in Madhya Pradesh’s Orchha region. The temple is commonly known as Orchha Temple. This is the only temple in India, where Lord Ram is worshiped as a king in a palace. A Guard of Honour is held every day, police personnel have been designated as Guards at the temple. The temple draws around 650,000 domestic tourists while over 25,000 foreign tourists. Armed salutation is provided to Lord Ram every day. As per data available, the daily number of visitors to the temple range from 1500 to 3000 and on certain important Hindu festivals like the Makar Sankranti, Vasant Panchami, Shivratri, Ram Navami, Kartik Purnima and Vivaha Panchami the number of devotees who throng to Orchha range in thousands. 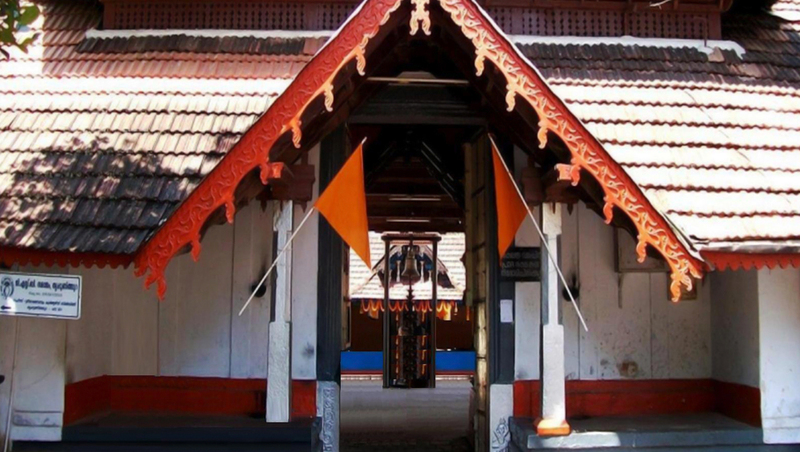 The Thiruvangad Sree Ramaswami temple in Kerala is an important temple located in the east part of Thalassery. The temple is generally known as the Brass Pagoda from the copper sheeting of its roof. The temple is one of the five major shrines dedicated to Lord Sree Rama in the southern state. The other four are at Thrinayamkudam (Vaikom), Triprayar, Thiruvilluamala and Kadalur. The big temple tank is a rare one and useful to the devotees. History reveals that a part of the temple was damaged by Tipu Sultan's troops in the 18th century but the temple itself is believed to have been saved from destruction. It was one of the outposts of the Thalassery fort in the eighteenth century. The temple is well maintained and has excellent wood carvings, terracota art work, mural paintings carved on wooden planks in the ceilings are a repository of art treasure. Lord Rama, the seventh incarnation of the Lord Vishnu and one of the many deities in Hinduism, was born on Navami Tithi during Shukla Paksha of Chaitra month. The auspicious day falls on a different date every year as it is based on the Hindu or Lunar calendar.